As art teacher Claire Davis’ children have grown older, she’s finally had time to bring to life her vision for designing and manufacturing a stylish, chic and contemporary duffle bag. 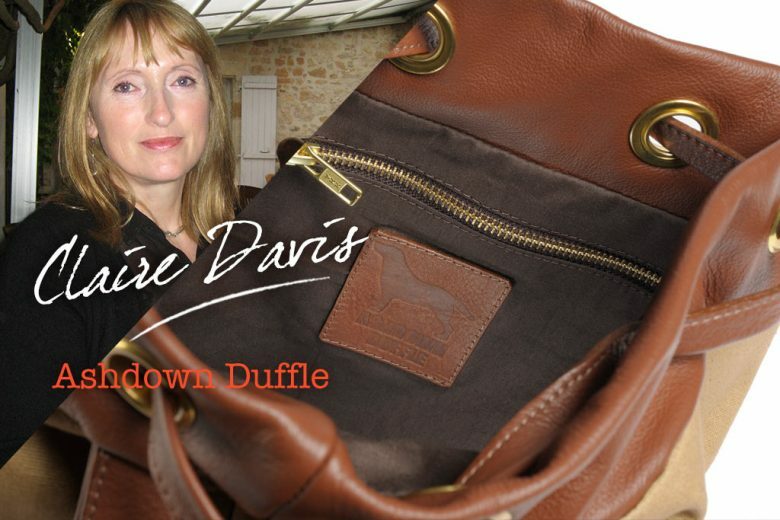 She tells us how Ashdown Duffle was born. My background is in art with a degree in art and design, specialising in ceramics. After university I worked as a manager for Royal Doulton, on the retail side, in Harrods. After my third and last child went to school I trained to become an art teacher and have been employed as a teacher for sixteen years. This worked well for me as I could work part-time. Working part time was important to me as I wanted to keep a balance between home and work life. I still work part time and have one son at home. As I have more time for myself I now want to build up my own business and continue to teach. What gave you the idea to start Ashdown Duffle? Having had experience in retail and also being creative myself I had the idea of a product for Ashdown Duffle in mind for about two years. I wanted to design a stylish, chic and contemporary duffle influenced by the traditional duffle bag which consisted of a cylindrical shape with a drawstring closure. I love textures and also vessel type shapes. It has taken about nine months from first drawings to opening the online shop. What makes your bags different? It has been more expensive to have the bags made in Britain but you can be certain that Ashdown Duffle bags are professionally handcrafted, hand cut, machined and finished in London. 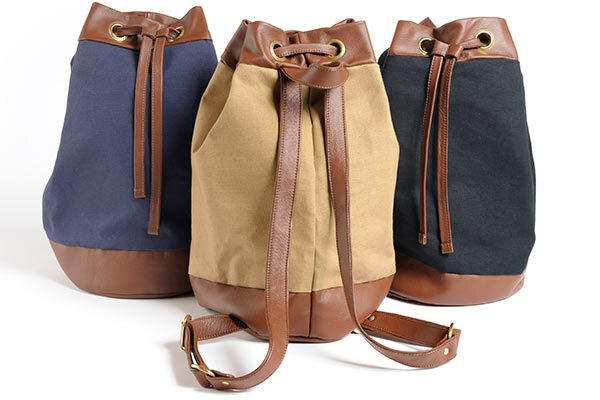 Our first product is called The Modern Classic and is made from 14oz cotton canvas and leather with brass hardware. It is attractive, trendy and comfortable to wear making it both practical and stylish. The bags are also very competitively priced. How do you come up with the design? Initially I drew out several ideas based on the same theme. In the sampling stages the bag went through several changes until I was completely satisfied. Although I tried to source the materials from Britain, all the suppliers are here but some of the materials are imported. Our target customer is someone who needs to carry more than a purse without losing style or comfort. The Modern Classic has contemporary living in mind – it can accommodate a laptop or iPad and more while still retaining its accessibility. Its zipped interior pocket is the perfect size for a wallet or purse, and the comfortable leather straps are adjustable and can be worn over one or both shoulders. I am building up a social network on Twitter. It has taken a lot of hard work since our site has gone live to build up a modest following. After The Modern Classic I would like to make a slightly larger version for men. I have several other plans for colours and textures using the The Modern Classic shape and style, and we are bringing out matching purses for each of the colours offered in the range very soon. How did you go from having a business idea to taking the first steps? Initially a sample bag from my drawn designs was made to take to a manufacturer. I then had to source my materials, leather and canvas which had to work well combined together. After finding a small manufacturer it took several samples to get the bag just right. My vision would be to build Ashdown Duffle into a solid trusted brand delivering high quality products which are competitively priced. Kelly Hoppen as she is passionate about design and champions products made in Britain. It is always motivating watching her on Dragons Den. Look for a gap in the market. Be passionate about your idea. Don’t listen to people who try to put you off your idea, but listen do to constructive criticism and trusted peoples judgement. Find out more about Ashdown Duffle on their website.